CoinDeal users will have the opportunity to use the airdrop soon. We're starting in a few days! 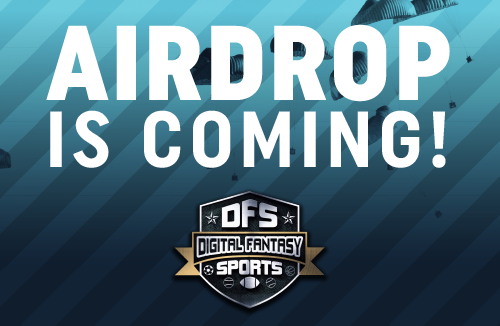 In cooperation with Digital Fantasy Sports (DFS), we organized an airdrop for users of our platform. If you want to get free coins, you will need to follow a few simple steps. We will write more about it soon. The total airdrop pool is 200,000 DFS! We're starting on Monday, January 28th. Stay tuned! What is an airdrop? Hearing this word every trader feels a thrill. Why? Airdrop means that you will get crypto for free if you meet certain conditions. Airdrop is a popular way of building a community and expanding the group of users. Details, as well as, terms and conditions will be available soon.